Can Demons Block Our Prayers? I had a comment recently asking the question if demons could block our prayers. While many Christians jump up with a hasty NO, I think the sincerity of the question is worthy of investigation. Plus, do we really know this to be true or do we just want to believe it? Was Daniel’s Prayer Blocked By Demons? This passage from Daniel is probably the source of many people’s questions regarding demons blocking prayers. Daniel was the chief advisor for three separate kings during Israel’s captivity. He faithfully prayed and ministered to these nations and is a great role model for us. In this story he was given a vision of terrible things coming to Persia, and they troubled Daniel. He prayed to seek understanding for the vision. The first thing to notice was that God immediately heard the prayer. However, God’s answer was delayed by an evil presence. This passage therefore does not support or deny that demons can block our prayers. It does support that demons can delay God’s response which is alarming enough. What Can Block Our Prayers? 1. God Doesn’t Hear the Prayers of Non-Christians. Many people use this verse to say that the first prayer God hears is the salvation prayer. God is a loving Father longing to connect with each person He created. He responses to those who are sincerely seeking Him. Just look at the life of Jesus. How many people did He lead to salvation before He healed them? Jesus was representing His Father on earth. 2. God Doesn’t Hear the Prayers of People Stuck in Sin. Other people use this verse to say that if you are an alcoholic, pornographer, adulterer, liar, rebellious, or the like, God will not hear your prayers. Again, Jesus is our model. He spent time with the prostitutes and tax collectors. Zacchaeus wanted to see Jesus, and Jesus answered his prayer even though he cheated people out of money (Luke 19:1-10). Now that I have confused you with what Psalm 66:18 doesn’t mean, I should give some explanation on what it does mean. The best way to do this is to give another verse to add light to it. James 4:3 says, “When you ask, you do not receive, because you ask with wrong motives, that you may spend what you get on your pleasures.” It is this asking for the wrong reasons that represents cherished sin. Wait, there is more that can hinder your prayers. 1 Peter 3:7 says that husbands should love their wife so that nothing would hinder their prayers. Therefore an unloved wife can hinder prayer. Which also means any man wanting to be used by God should regularly make sure his wife feels loved. Spirit Wars is an insightful book on the topic of spiritual warfare that might be useful in your extended study on whether demons can block your prayers. How Can Demons Use This to Block Our Prayers? 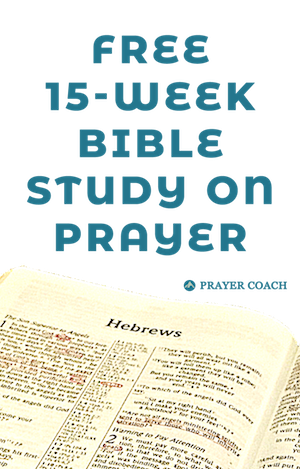 What does Psalm 66:18 and 1 Peter 3:7 have to do with demons hindering our prayers? While demons may not be able to directly hinder our prayers, they can motivate us to a place where our prayers will be hindered. Keep alert and don’t become unaware of the demons’ schemes (2 Corinthians 2:10-11). Speaking of being outwitted, this verse in 2 Corinthians says Satan was trying to outwit them through unforgiveness. Jesus said that when we harbor unforgiveness, God grant demons the right to torment us (Matthew 18:32-35). Jesus gives the impression that our gifts to Him will not be received if we have broken relationship with others (Matthew 5:23-24). Relationships are very important to God. Loving our neighbors is the second greatest commandment (Matthew 22:39). Demons will work hard to cause you relationship problems. Overcome their tactics with never-ending love and unrestricted forgiveness. Can Demons Hear Our Prayers? Demons hearing our prayers is sometimes brought up with the question if demons can block our prayers. The suggestion is it is better to pray in our hearts without words so that they cannot hear. That is true demons cannot hear your thoughts (although they are pretty good at guessing your thoughts since they put a lot of them in there). This is a fearful approach to prayer. There is power in the spoken word and verbal prayers have a lot of power in the kingdom. The demonic realm is shaken by the powerful prayers of faith. In Conclusion… Can Demons Block Our Prayers? In conclusion, it does not seem that demons can directly block our prayers. However, they will try to get us into a place where our prayers are ineffective. They will also try to discourage us by slowing God’s responses to our prayers. Don’t get discouraged. Keep seeking to do the two great commandments: love God and love others. Focus on this, do it well, and your prayers will line up. How Can We Maintain Access in Our Prayers? My best advise to keeping people encouraged in their prayers is to maintain proper perspective in our prayers. It is not about getting the answer as much as it is connecting with God. Take time to listen to whatever God wants to talk about even if it isn’t the topic you were praying about. You may be asking for healing of a loved one, direction in an important life decision, money for upcoming bills, etc. God knows your needs, but He wants you to know what He thinks of you. God thinks you are worthy of His undivided attention. You make Him happy. If God delights in you and you delight in Him, all blockages of wrong motives and unforgiveness will quickly come into alignment. Nothing will keep you from Him for He loves you too much. This blog post came in response to a question from a reader. If you have any questions you would like to address, please let me know through a comment or on the contact page. Dear Christian: You are an adult now. Just as you stopped believing in imaginary beings called Santa Claus and the Tooth Fairy, it is time to stop believing in and praying to an ancient man/god who died 2,000 years ago. The “Virgin Birth”, the “Resurrection”, etc., are ancient folk tales. Jesus doesn’t answer your prayer requests any more than Santa and the Tooth Fairy answered your requests to them when you were a kid. It’s a silly superstition and nothing more, friend. The fact that Jesus doesn’t answer your “big” prayers is proof. It’s obvious you didn’t read the above article as your comment had nothing to do with it. I allowed it to go through as it was a comment about prayer, but I edited it as it was too long for being off-topic. I hope you feel I keep your sentiment. The target of this blog is for people who want to get closer to God. There are many of other blogs that enjoy arguing the reality of God or His absence. I suggest you find those blogs. I wish you the best. You have no authority to say what YOU believe Jesus meant. If you lack faith then that is your issue.That is your problem and I hope you work it out without being a jerk but don’t ever believe that you have the authority to correct what Jesus Christ himself said. It is absurd and disrespectful. Gary is blinded by the god of this world (satan) and the glorious gospel does not appear to his heart. He is lost in darkness. But he can be delivered if God wants to intervene and if we pray for him. I say it like that because we don’t know how many times he has rejected the truth of God’s word and rejected God himself. If he has been turned over to a repubate mind, he will never turn but for the grace of God! His tongue is even now being used by a demonic force to say the things he’s saying! And to Gary, Jesus (God Manifested in Flesh) always answers the prayers of his people! I am cleared on this very issue. God bless you for this article in Jesus name. I pray you will find some men that you can trust and with whom you can be vulnerable. There are these kind of men out there. I pray God reveals to you who they are. is it only Prince of Persia that delayed prayers. how many prince that normally delay prayers. Please pray for God to move on the clearance division at the agency I contract at to expedite my reinvestigation case and adjudicate by the end of this month. My reinvestigation started back in November of 2015 when I was asked by my company to submit my paperwork. I took my polygraph at the end of August of 2016 and according to the polygrapher, I was told that everything looked good when he verified my test results with his supervisor and he gave me a verbal confirmation that I passed and probably would not be called back in. I had a friend back in September who use to be a security officer who checked with her gov POC and they told her my polygraph was completed and in the clearance division. It is now January 2017 and every time my company FSO calls the gov security office to check the status all they are told is that it is in process. I got an offer with another company last week and they tried to submit paperwork to crossover my clearance to their company, and I just found out 2 weeks ago from that company that my crossover was denied by that gov agency that is processing my reinvestigation and the reason given was there is unadjudicated information that needs to be resolved and completed before they can cross me over to another company yet I am not given a reason as to what this unaujudicated information is and this is very frustrating since I was told when I took my polygraph that I passed. the only issue that came up during my reinvestigation when I met with the investigator in February of 2016 was that a VERIZON FIOS issue came up on my credit report staying that my husband and I owed them 750.00. I explained to the OPM investigator that this issue was in dispute and then a month later my husband called Verizon and settled for a lower amount and the issue was removed from my credit report. I also explained this during the polygraph yet my reinvestigation is still pending and it has been over a year since the paperwork was submitted to start the process and this is keeping me from moving to other companies or getting other jobs and frankly I am getting pissed off because this is messing with my livelihood and it isn’t fair and I can’t call the gov myself to find out what the issue is so I am stuck in limbo and this isn’t right and I need God to intervene and move on the adjudicators or adjudicator who has my file to expedite this and approve my adjudication so i can look for other positions. Please pray that by the end January 2017 in the new year that my reinvestigation issue will be resolved and that my case will be adjudicated so I can get a better job to support my family. My husband is in full time ministry and not earning much and this is a strain on us financially. Please also pray that is direct hire for his pastor position comes through so that he can start getting paid more. I pray that you find a quick resolution to this frustrating experience. I’m saddened to hear how your children’s father has been treating you. I pray that God will hide you in His wings that you may find His peace and safety. I don’t know what God is telling you about your relationship with your children’s father, but just know that some things He shows us are in the future and are not for right now. Also, we often misinterpret what God is saying to us. If this man is treating you this negatively, it is good to get some distance from him to protect yourself. You are worthy of protection and worthy of being treated well. If he turns around, you can allow him time to earn your trust, but know that it takes time. If I were you, I would not plan my life around him changing. Find some people who know you well and pray through what you are hearing from God. Based on the quoted passage I pay a vow / redeemed a pledge I made recently in my church. Shortly after, my business went down such that to eat & pay children school fees became difficult till now. I have been calling on God to rescue me in this trouble time but…. Is that passage not from God? or why these hard times having relied on the word of God / David! I don’t know you situation, so it is hard for guidance here. I know that I followed God into some difficult times where it appeared we could not pay for things. I never liked those times, but we always made I through. I’ve known people who have had to move because their money situation changed when they followed God. Following Him may not be easy, but it will be worth it. He will take care of you. Continue to lean in on Him and follow His leading as best as you can. He loves to take care of you.